Raising a child with special healthcare needs is not an easy task. No matter how severe or mild your child's disability may seem to the outside world, it undoubtedly is not what you had in mind when you found out you were having a baby. If you now find yourself caring for a child with spina bifida, you may be overwhelmed and confused. You are likely also filled with love and an overwhelming urge to do everything you can to give your child the best life possible. Although life going forward may not be what you expected, you can handle it. With the right support, information, and guidance, you and your child will likely live a better life than you could have imagined when you received the diagnosis. To start with, there are some basic medical needs that you should be aware of and prepared for. Knowing what to expect and how to handle them will make things easier in the long run. If you have come to this page, you most likely know at least a little bit about spina bifida. Briefly, there are three types of spina bifida. Spina bifida occulta: This is the mildest form of spina bifida. There is a gap in the spine, but there is no opening or sac on the back. Meningocele: This occurs when there is a sac of fluid on the back, but the spinal cord is not in the sac. There typically is little to no nerve damage with this type of spina bifida. Myelomeningocele: This is the most severe form of spina bifida. There is a sac of fluid at the level of the gap in the spine. The spinal cord is also pushed into the fluid sac on the baby's back, and there can be severe nerve damage. There are also medical issues associated with spina bifida. Most children with spina bifida have damage in the nerves that lead to the bladder and bowels. This nerve damage affects how your child will urinate and have bowel movements. Although the thought of catheterizing your child may seem frightening at first, rest assured that thousands of parents do this successfully every day. Your child's nurse or doctor will show you how to perform this procedure and make sure you are comfortable with it before sending you home. It will always be important to make sure your child is getting enough fiber in their diet to keep the stools soft. The amount of intervention needed to help with bowel movements will depend on the severity of the nerve damage. Some children are able to have bowel movements on their own while others need suppositories to ensure that they can go. Children with spina bifida can have a variety of joint and bone concerns. An orthopedist is an essential part of your child's medical team. Ensuring that you have identified any significant issues such as clubfoot, spinal contractures, and hip dislocation is important so that they can be managed or corrected. There are many interventions that can help with these conditions. Your child's doctor will likely recommend physical therapy to ensure that she will have as much function as possible in her lower body. If you are not very familiar with spina bifida, you may believe that everyone who has it is wheelchair bound. However, that is not the case. Many children and adults with spina bifida are able to walk or mobilize without a wheelchair. Sometimes orthotics are necessary to help the muscles in the lower extremities stabilize. Your child's healthcare team will help determine if they will be beneficial. Other children are not able to use their lower extremities and may need to use a wheelchair. 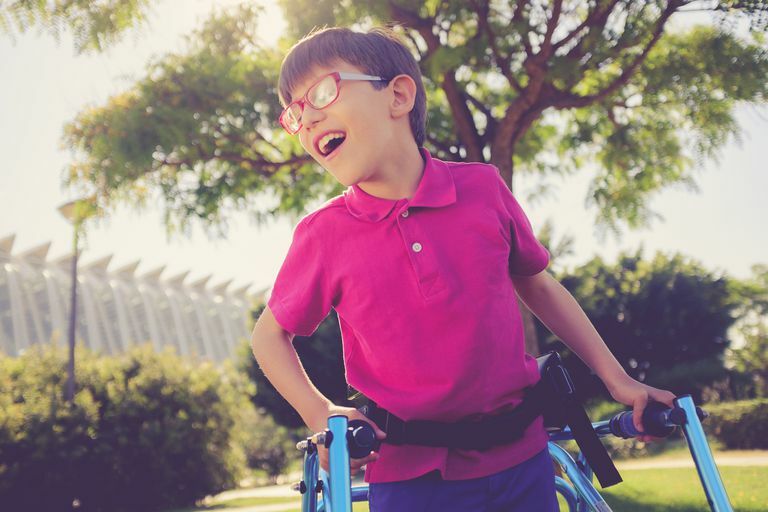 Children as young as 18 months may start using a wheelchair if it is deemed necessary and safe. When children (or adults) have decreased use of a part of the body, they are at high risk for skin breakdown. When there is continuous pressure on one part of the body, it is easy for the skin to become irritated and develop pressure ulcers. These can begin to develop in as little as two hours. If you do notice any of these things on your child's skin, contact her healthcare provider. Special dressings or treatments may be needed to help the skin heal. If your child is mobile, be sure that she is not dragging her feet/legs or creating friction on any part of the body. These repetitive movements that cause friction on the skin can lead to skin breakdown quickly. These wounds can easily become infected, so make sure you seek medical attention if you notice that your child is developing this type of skin breakdown. If you get in the habit of doing skin checks at least daily and teaching your child appropriate transfer techniques as she gets old enough to move around on her own, it is not that difficult to prevent skin breakdown. About 80 percent of babies born with spina bifida also have a medical condition called hydrocephalus. In layperson's terms, it is often called "water on the brain," although that is not an entirely accurate description. Hydrocephalus is an excess amount of cerebrospinal fluid (CSF) around the brain. Children with hydrocephalus often have surgery to place a device called a ventriculoperitoneal (VP) shunt, which is simply a tube that runs from the ventricles of the brain into the peritoneal space in the abdomen. It allows fluid to drain away from the brain and into the abdomen where it is absorbed into the body. Many children with spina bifida have latex allergies or need to take latex precautions as latex allergy can develop at any time. Latex allergies most often develop due to frequent contact with products that contain latex. Due to the need to perform catheterization (with supplies that contain latex) multiple times per day, every day, a lot of people with spina bifida end up with an allergy or sensitivity to latex. If you have a child with spina bifida, you need to be aware of the signs of an allergic reaction. Because it may develop slowly over time, you need to know what to watch for. If you notice signs of an allergic reaction, contact your child's healthcare provider right away. If you think your child may be experiencing an anaphylactic reaction, call 911 or seek immediate emergency medical attention. Children with myelomeningocele—the most severe form of spina bifida—typically require surgery. In some circumstances, this may be performed in utero, while the mother is still pregnant. This type of surgery is not common, so it is not an option everywhere. Other children will need surgery after birth. When you get the spina bifida diagnosis, your doctor will discuss the possible surgical options with you and determine what your child will need, if anything. Facing a child's diagnosis of spina bifida can be very scary and overwhelming, but it doesn't have to be that way. It is usually a manageable condition as long as you are informed and prepared. It's important to remember that your child is a child first. She is not defined by her diagnosis nor does she need to be severely limited by it. If you don't feel this way as a parent at first, that's OK. Give yourself time to cope, grieve, or come to terms with the change in direction that your life has taken. As the mother of a child with special needs myself, I know it's not an easy road. Luckily, I also have the benefit of knowing how beautiful it can be. Above all else, love your child and do what you can to give him the best life possible. Bowel / Bladder Needs & Care – spinabifidaassociation.org. http://spinabifidaassociation.org/find-support/resource-directory/bowel-and-bladder-needs-and-care/. CDC. Facts | Spina Bifida | NCBDDD | CDC. Centers for Disease Control and Prevention. https://www.cdc.gov/ncbddd/spinabifida/facts.html. Published October 17, 2016. Hydrocephalus Fact Sheet | National Institute of Neurological Disorders and Stroke. https://www.ninds.nih.gov/Disorders/Patient-Caregiver-Education/Fact-Sheets/Hydrocephalus-Fact-Sheet. Natural Rubber Latex Allergy – spinabifidaassociation.org. http://spinabifidaassociation.org/project/natural-rubber-latex-allergy/. Orthopedic Needs & Care – spinabifidaassociation.org. http://spinabifidaassociation.org/find-support/resource-directory/orthopedic-needs-and-care/.